All the things you never wanted to know about A Series seats and were too polite to avoid asking! There is a danger that this post could reveal a disturbing and deepening obsession, or it could just be a desire to understand how a manufacturer (and those who followed it) varied the design of what might be considered a mundane and ‘standard’ component. You can decide! 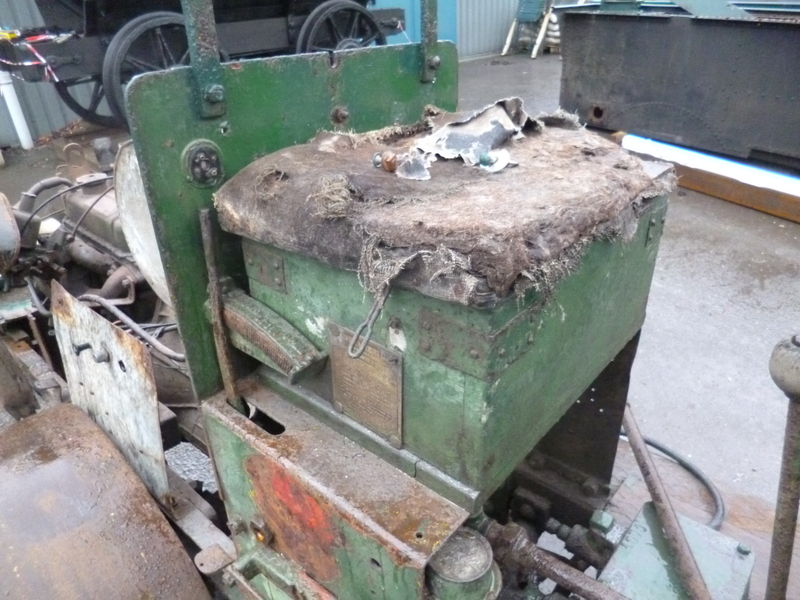 However, for what its worth, here are some observations regarding the A Series seat (combined with toolbox) across its long life both in production and with an enormous number of operators. We start this meander with an observation or two. The earliest A Series rollers, featuring shallow frame drop, brass radiator, no bonnet side panels, open seat support, chain drive on the offside, roll scrapes (front), seat sides, exposed fuel tank (cylinder). From the latter half of the 1920s the rollers show a more pronounced frame drop, brass radiator, fully enclosed engine housing, solid seat supports (sides), chain drive on nearside, seat/toolbox with no sides to seat base, fuel tank enclosed by bonnet sides. 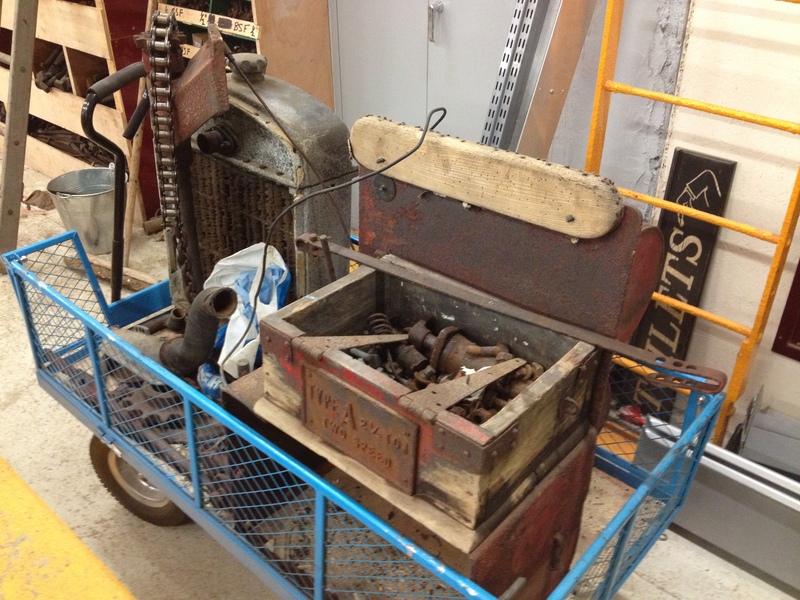 From the end of the 1920s – much as the early Period 2 rollers, but with alloy radiator instead of brass plus variation in seat/toolbox designs. The advent of the ‘Q’ for ‘Quick Reverse’ also sees a deeper frame sweep still, to accommodate the new gearbox. Diesel engine options, a revised seat which often includes the fuel tank (possibly on Aveling-Barford manufactured machines) and revised handbrake arrangement. 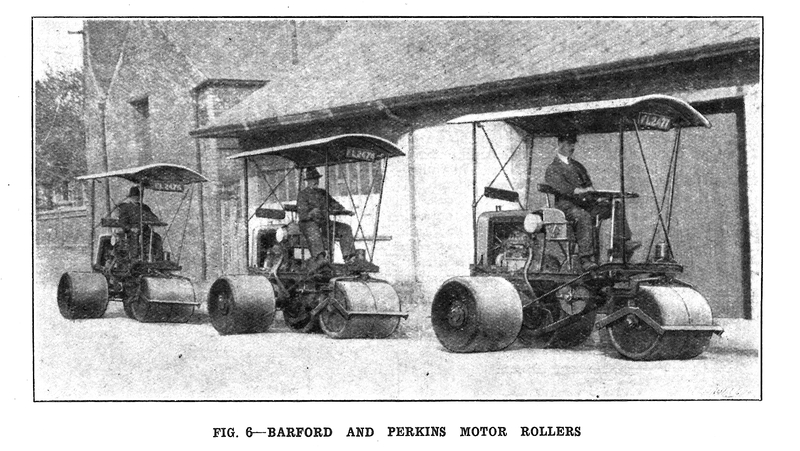 Below: A trio of Period 1 A3 rollers, from an article which appeared in December 1921. Note the canopies! 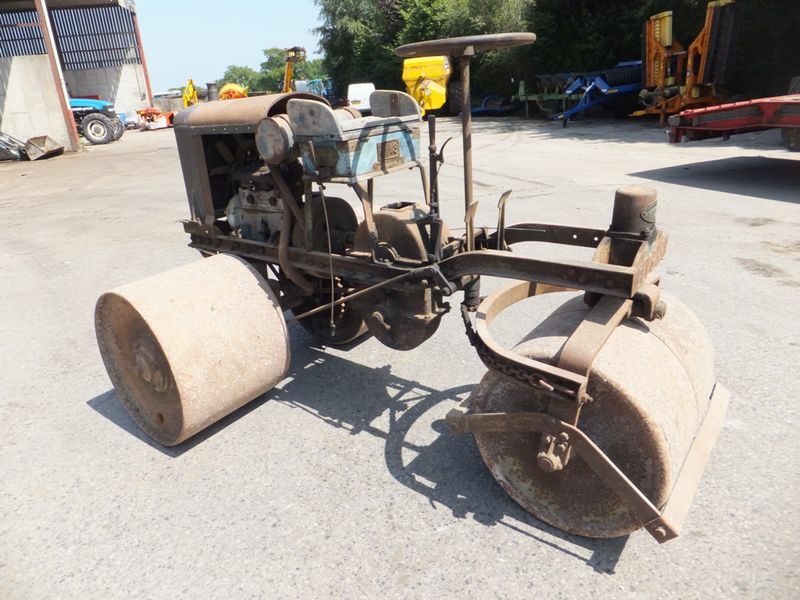 Below: This Period 1 A3 (it has the wider grass rolls at the rear) was auctioned by Cheffins in 2013 (I still kick myself that I didn’t spot it!) and was stated as being c1927 and carrying the registration EL 2988. The latter is more likely ‘FL 2988’ – FL being common on B&Ps which were pre-registered for sale with the Peterborough prefix. 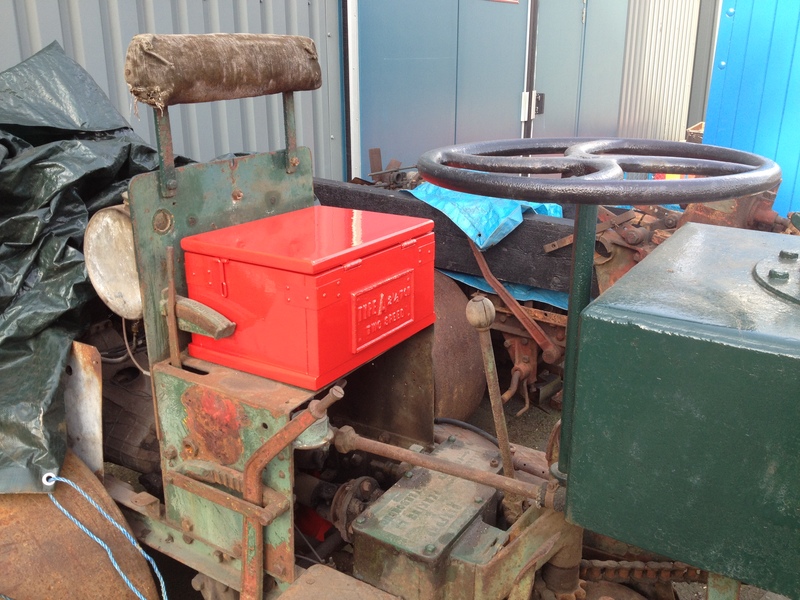 Below: However, struggling vaguely towards the point of this posting, here is a close up of the seat and tool box fitted to this roller. Note the sides and rear to the seat, to neatly contain the driver’s posterior. Beneath this (the seat and posterior) is a fairly recognisable toolbox and base (see later for more on this). 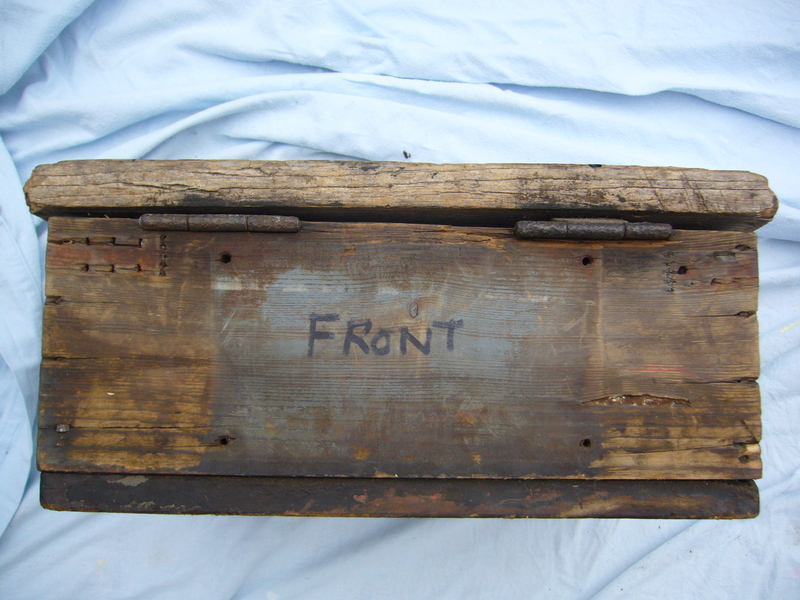 It carries the model plate at the front (A3 in this case), the lozenge shaped roller number and the lid of the box hinges forwards. Unlike the Period 2 A Series, the whole ensemble is mounted on an open frame, with the fuel tank exposed and supported by additional ironmongery. On the Period 2 (and onwards) versions, the seat is mounted atop an inverted and square ‘U’ shape, with a substantial back panel onto which some (but not all…) have the back-rest bolted and on which is also mounted the fuel tank plus bonnet panel supports. Below: We start with the later type of Period 2 seat – a robust and angular box with little in the way of rain lip on the base or lid and marginally taller than those that preceded it. A hasp and staple arrangement enabled the box to be locked. This is EE067. Note the backrest is supported by two bulkhead mounted uprights – earlier variants had these extending down to the seat box itself. 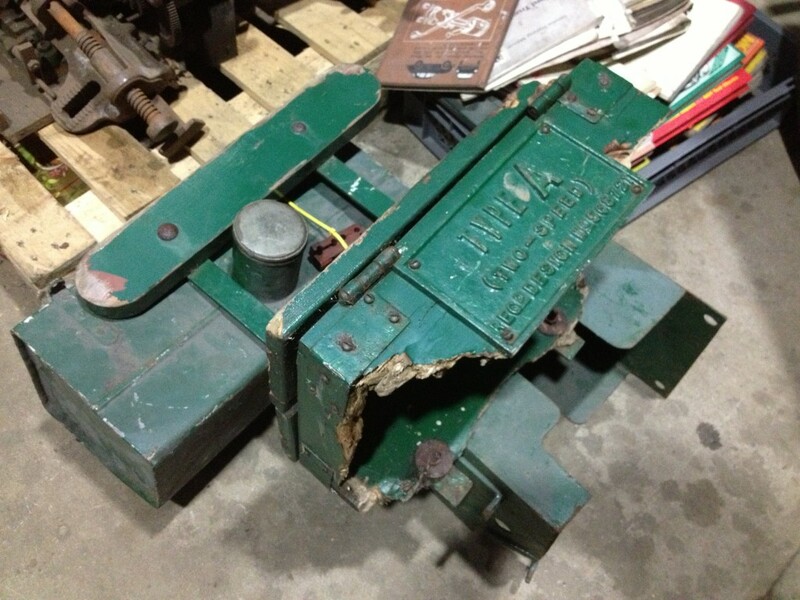 Below: EE067 is undergoing a complete restoration to as-original a condition as I can make it. 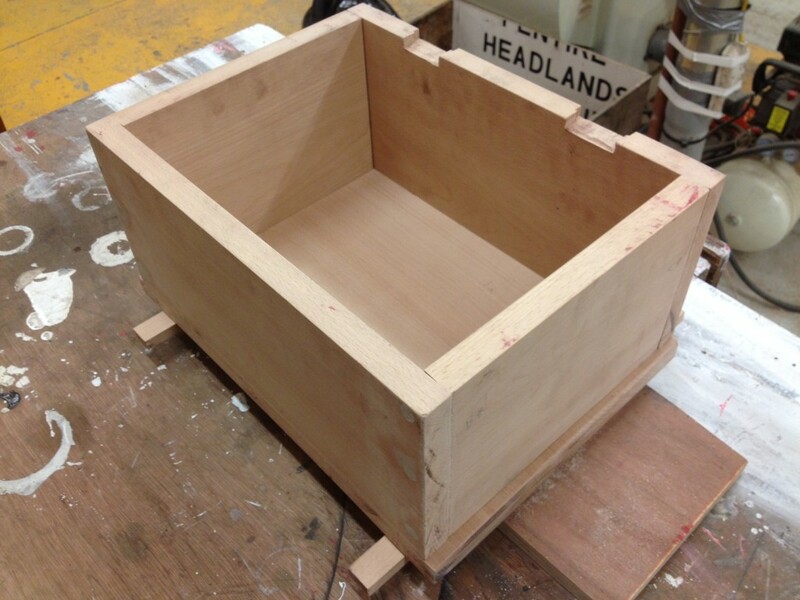 This is a replica of its seat/tool box, made from beech and planed ready for painting and fitting of the lid. 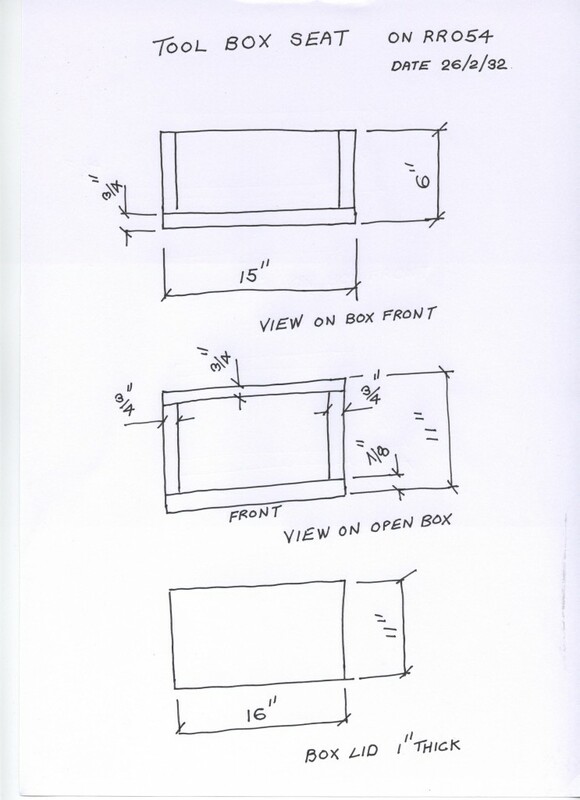 Note the rebates for hinges – a B&P feature on almost all of the original boxes I have seen. 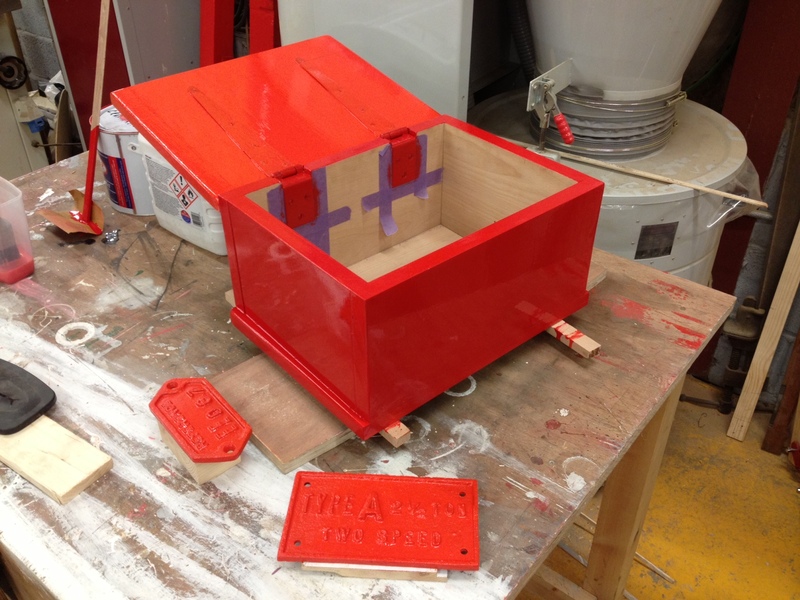 Below: And finally ‘Currant Red’ – the closest match I have been able to make from original paint samples. It looks more orange on the screen than appears in real life. Note the stepped hinges. 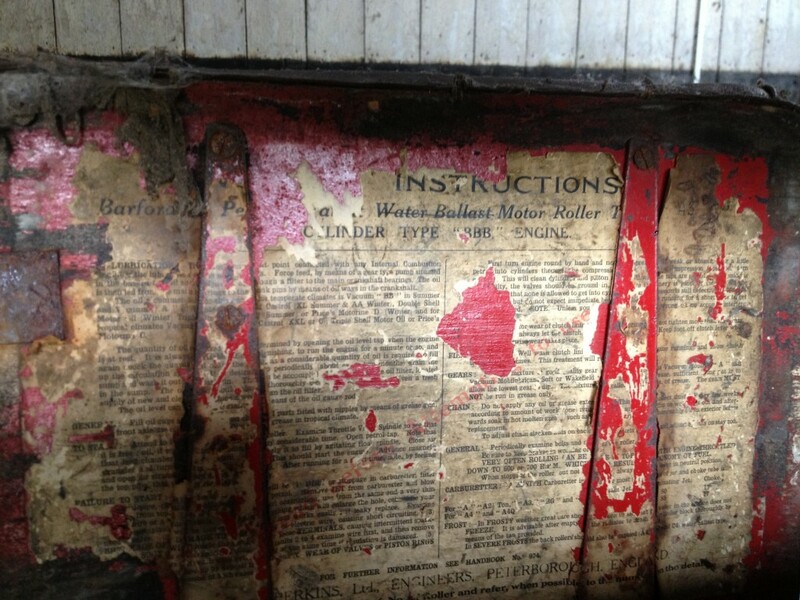 Below: The completed box in situ on EE067 before I dismantled the seat support and bulkhead for restoration. The boxes open forwards, with the number plate being on opposite side to the throttle (and advance/retard if fitted) levers. 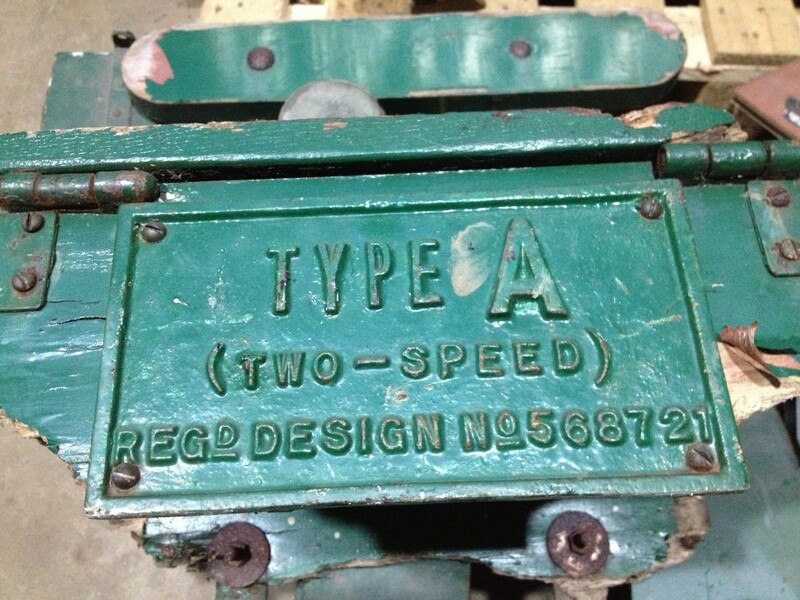 The ‘type’ plate is mounted on the front. Below: The seat types readily cross the boundaries of ‘Period’ with these rollers. 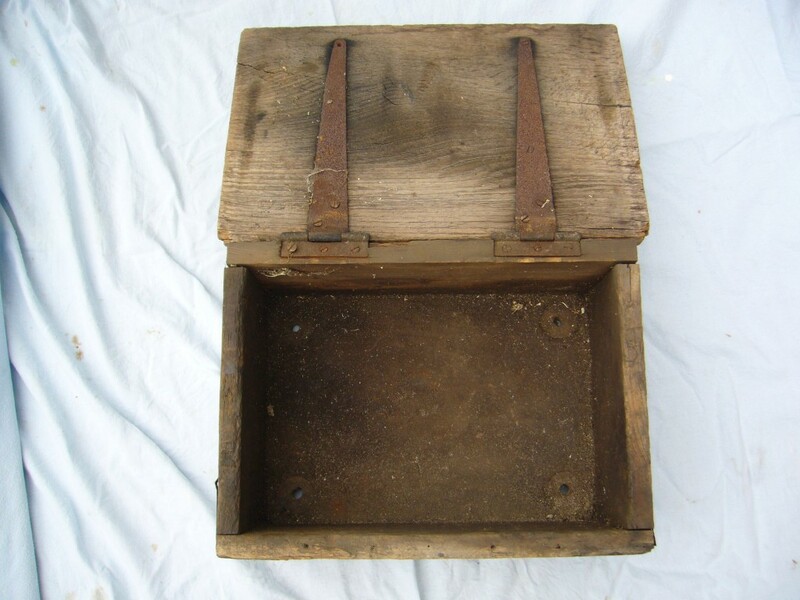 My QQ072 from 1931 exhibits the earlier form of seat box, albeit without the rain lip at the front of the base (which we will come to in due course). It is cushioned and the seat back is mounted on two uprights which are fitted to the bulkhead. 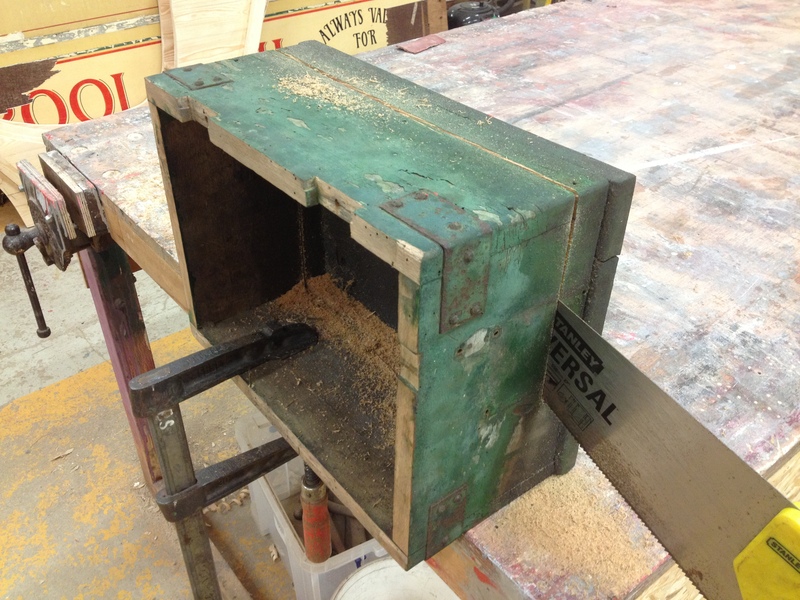 Earlier boxes, with the both the lip and without, sometimes have the seat back fastened to two long uprights which are mounted directly onto the box itself, as a stand alone unit. Below: QQ072 still retains the instruction/data sheet on the underside of the lid. Below: CC002’s seat is seen mounted on the seat base and with the backrest fitted directly to the bulkhead minus the two uprights. It is of the lipped variety (see the front base) but would have had the backrest mounted on uprights from the bulkhead rather than the box itself. It is easy to tell as the bulkhead mounted examples have two holes for the purpose, those mounted on long uprights from the box itself do not have these holes. 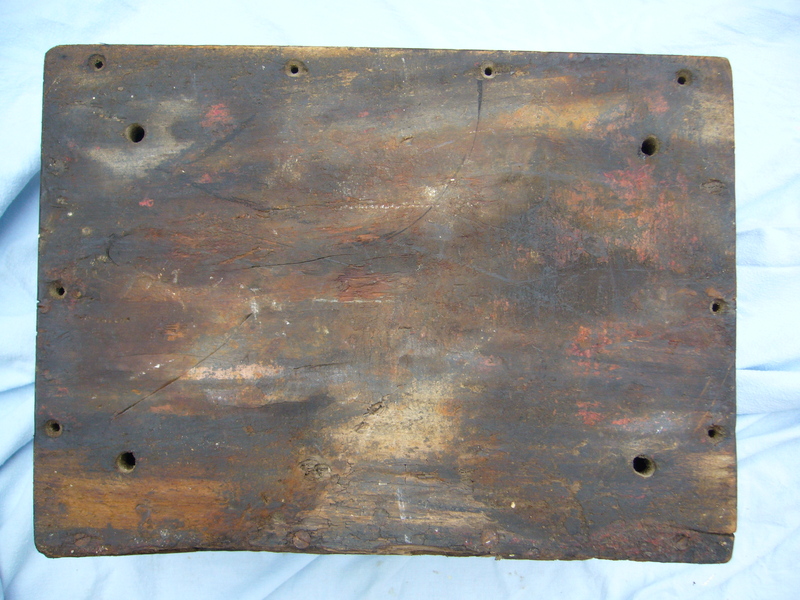 Below: As a slight diversion, when I removed CC002’s seat box to salvage components for U092 (see later), this plate was revealed, rebated into the base and suggesting that B&P offered credit/HP terms and that until fully paid, these cast plates would remain hidden, the buyer probably being unaware of their presence! 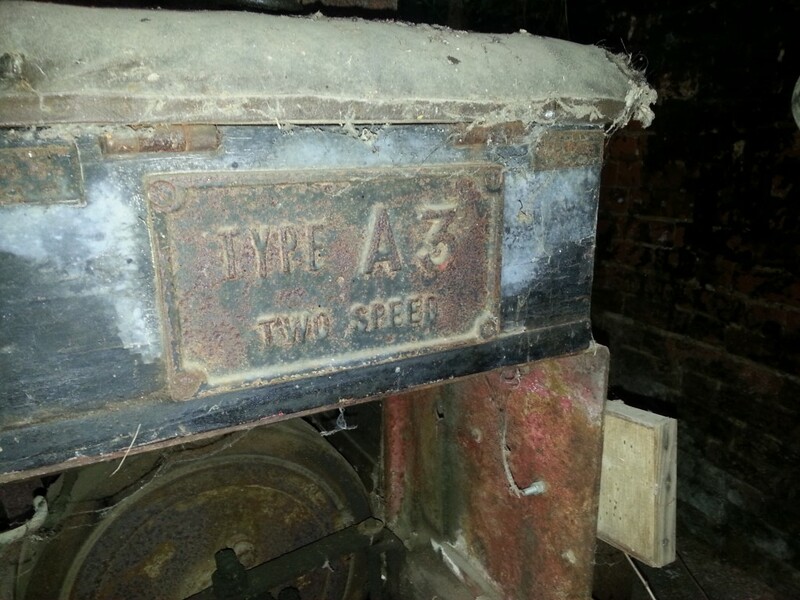 Below: This box was fitted to Andrew Eyre’s A Series roller, subject of a comprehensive restoration by him. 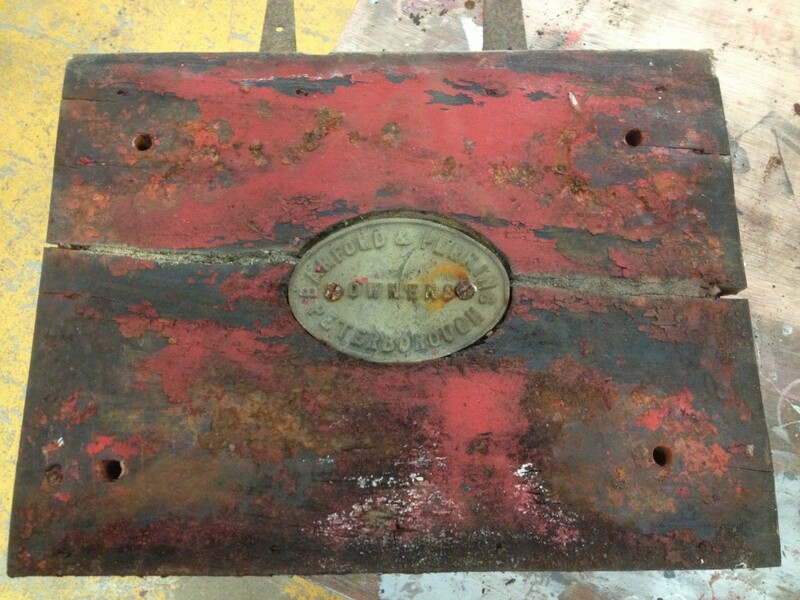 It is possible that this box (replaced during the restoration) is not of B&P manufacture, and was a replacement for the original manufacturers one. 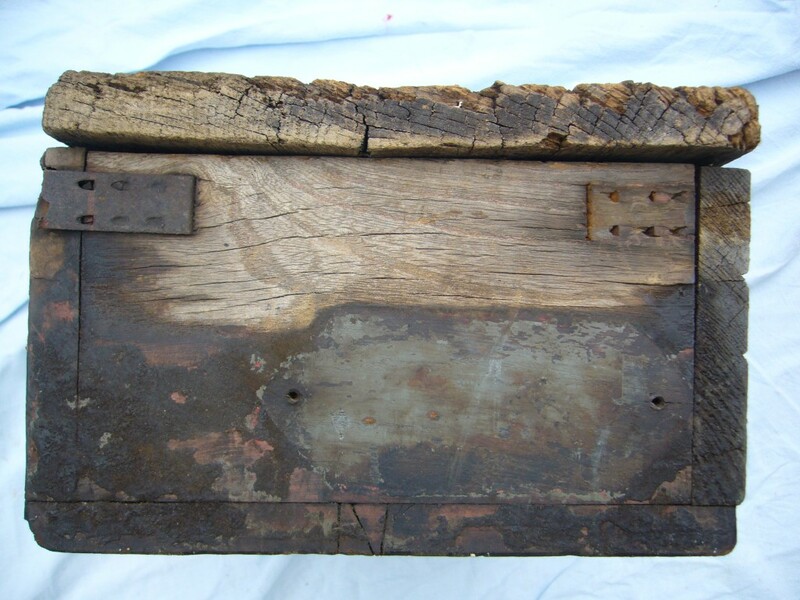 The evidence for this comes from the types of hinge used – Barford’s used a stepped hinge which was let into the front panel rather than sitting flush. 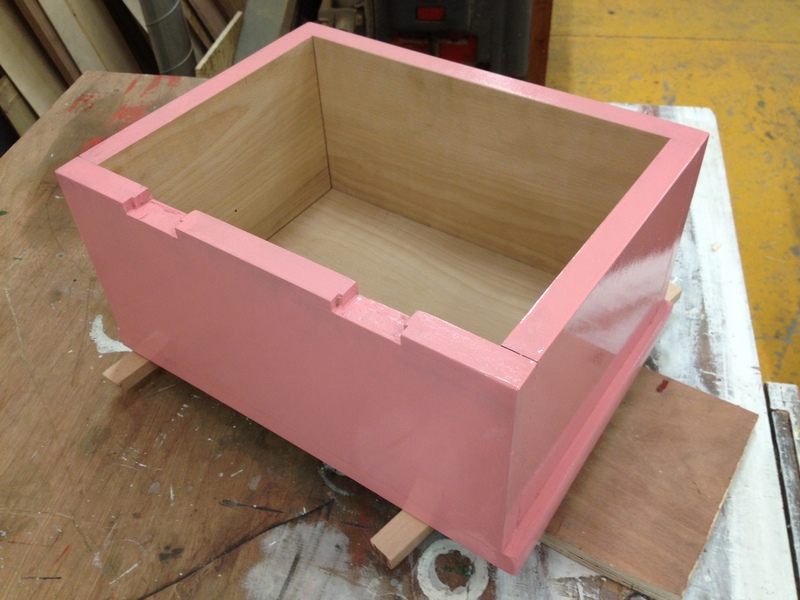 The corner reinforcement pieces are also not of typical Barford style which favoured bent steel plates screwed to the box with dome headed screws. 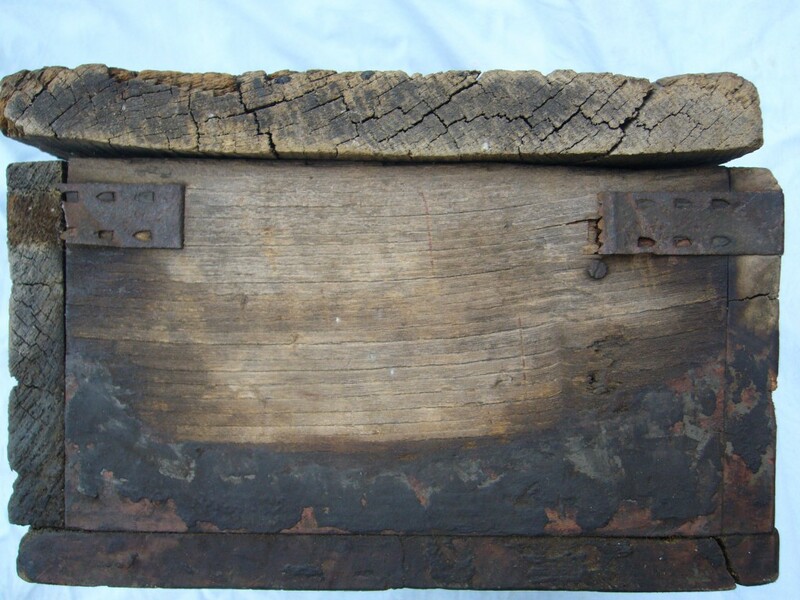 These clawed brackets are ingenious but not usually seen on Barford-built boxes. Photos by Andrew Eyre and drawing included for reference. 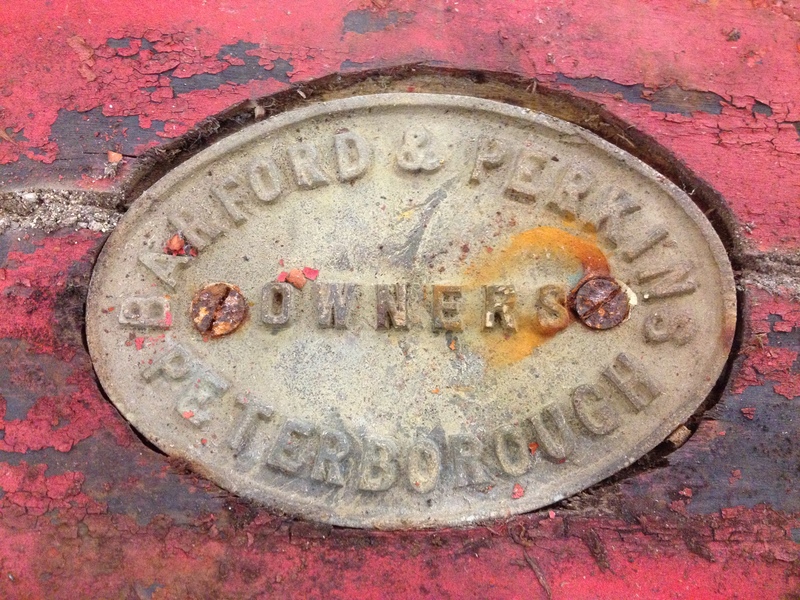 I haven’t discussed Period 3 A Series (one for another day…) – For the sake of completeness we see the design evolve into the Aveling Barford era and with the quick reverse gearbox (revealed by both the type of direction lever fitted and the deeper sweep of the frame members). The seat is steel and forms a ‘bucket’ into which the cushion is fitted, the base now being the fuel tank rather than the tool box. 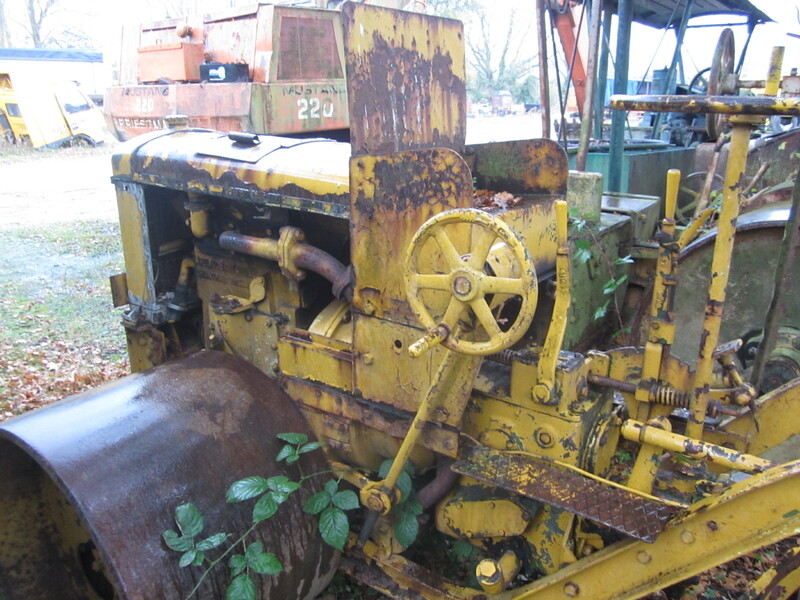 This is a diesel engine fitted version and whilst some components remain recognisable from the Period 2 era rollers, much of the design is new, not least the engine unit, brakes, gearbox and superstructure. Well, there we are then. Candidate for most boring post of the year? Justification for my censure on the subject of motor roller seats or a thought provoking treatise on a much under-thought subject?! I’d be interested to hear any views on this subject or see photos of further examples. There is also the drawings archive in Lincoln that might reveal a few more interesting details… Therefore this is probably not the last word on the subject (“oh no!” I hear you cry!!!). What we can conclusively say is that there was no ‘standard’ throughout the construction of the A Series and that the seat and toolbox evolved much as the overall design did, based on need, available materials and the requirements of the operator. Manufacturing technique and some shop-floor influence no doubt crept in too, and as we have seen, replacement boxes ‘in the spirit of the originals’ were also not unknown. 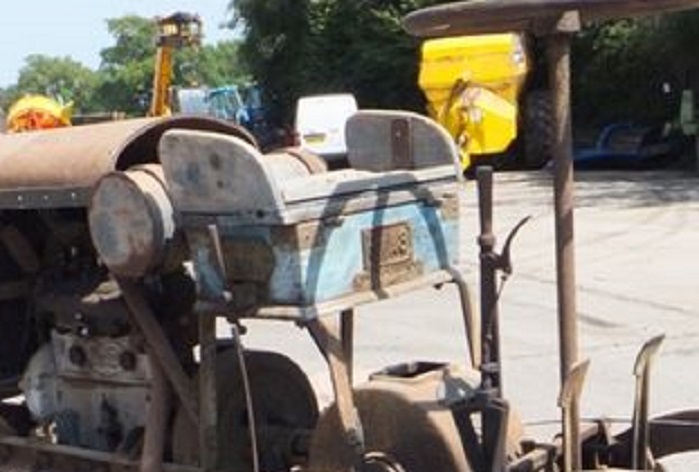 I have a working Barford Perkins A3 roller for sale do you know anyone who would want to buy it?